Often times I pop a cherry into my mouth and forget that cherries have pits in them, I then go to bite down with a fierce thirst for cherry juice, only to be succumbed to a painful event where I would rather wish death upon myself, than to live for another minute. 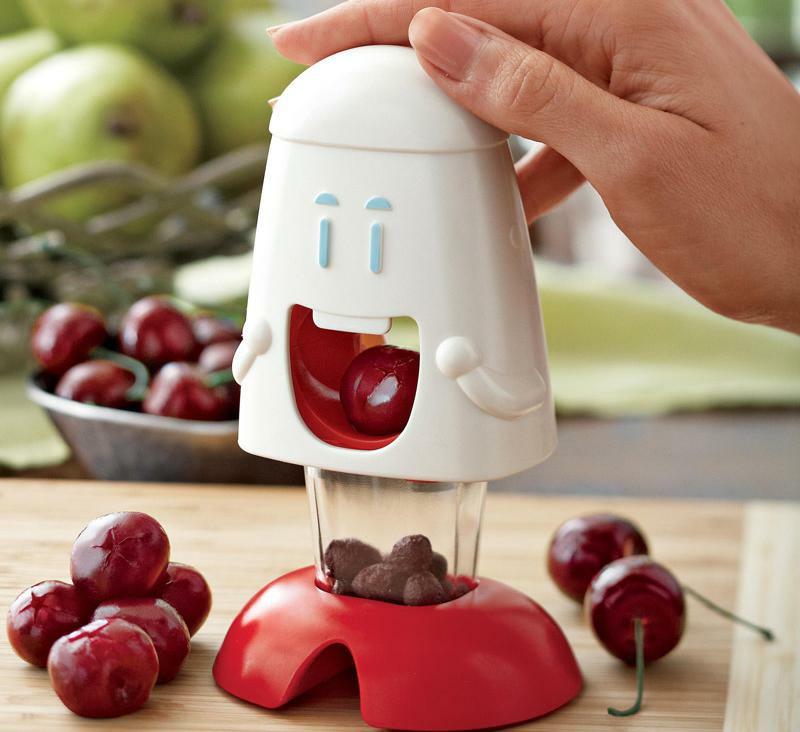 The Cherry Chomper will easily pit your cherries and olives with a push of a button, just put a cherry inside, push down on the head, and the pitter will remove the pit and place it into the container below. The Cherry Chomper features a kid friendly tooth so that no fingers will be accidentally pitted. The Cherry Chomper is dishwasher safe, and measures 6 inches tall.